“Staff Picks: Moaning, Sobbing, Trolling,” The Paris Review, July 10, 2015. Stephen Burt, “The Persistence of Lit Mags,” The New Yorker, July 7, 2015. Kelly Christiansen, “A Summer for Satire: Review of When Bad Things Happen to Rich People,” Chicago Book Review, November, 2014. November, 2014 Christine Sneed, “Hot Money: Ian Morris Discusses his Debut Novel, When Bad Things Happen to Rich People,” New City, October, 2014. Donna Seaman, “Review of When Bad Things Happen to Rich People,” Booklist, October 2014. Thomas Frisbie, “Chicago: ‘great vibrant city’ for independent book publishers,” Voices, a Chicago Sun Times blog, February 13, 2014. 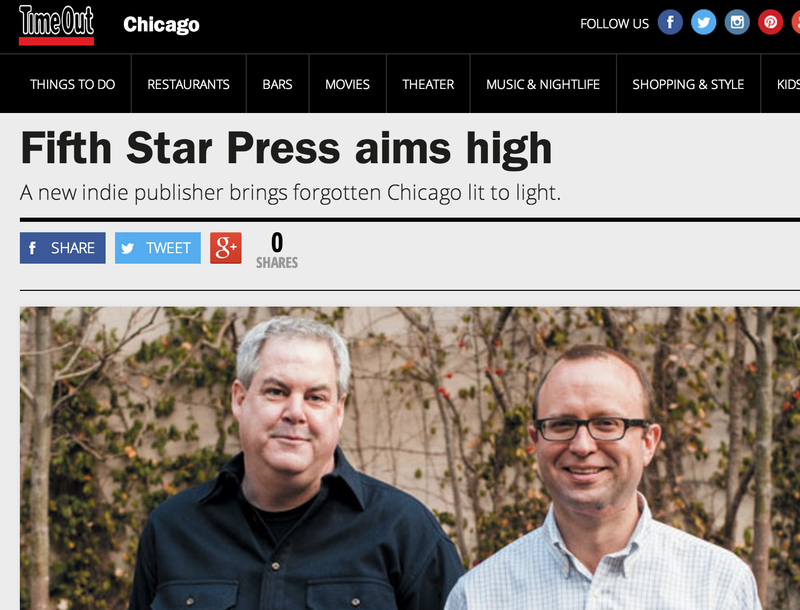 John Fullmer, “Fifth Star Press Aims High,” TimeOut Chicago, December 6, 2012. Kevin Nance, “Fifth Star Press: A Century Illuminated,” Chicago Tribune, September 16, 2012. Where Were You During the 1995 Chicago Heat Wave? Justin Kauffman speaks with Ian Morris, WGN Chicago, July 13, 2015. Interview with Ian Morris and Jason Stauter of Fifth Star Press, The Sunday Papers with Rick Kogan, WGN Chicago, December 12, 2012. Interview, “A New Spin on Classic Poems,” WBEZ Chicago Public Radio, 2008. Essay, “Casimir Pulaski and Our Founding Fathers,” WBEZ Chicago Public Radio, 2006. Interview, “Winners of the Stories on Stage Competition,” WBEZ Chicago Public Radio, 2001. Short story reading, “Lavanderia Moderna,” WBEZ Chicago Public Radio, 2001. Kevin Nance, “A Tough Transition for TriQuarterly,” Poets and Writers, January/February 2010. Macy Halford, “A New Life For TriQuarterly?,” The New Yorker.com, Book Bench, September 28, 2009. Jennifer Howard, “Literary Circles Reel at Northwestern’s Plans for TriQuarterly,” The Chronicle of Higher Education, September 24, 2009.